Our edge polishers of the Lola series are capable of polishing a mirror finish onto straight edges of granite, quartz, ceramics and marble of 10-100 mm of thickness, using 4-10 frontal units. These units are mobile, which means that they make a light oscillating movement which allows the abrasive to correct slight cutting defects. 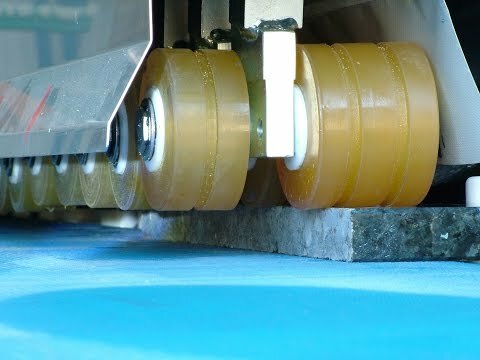 The conveyor belt runs over wear-resistant stainless steel tracks with a guide in correspondence of special mechanical or pneumatic pressure rollers. 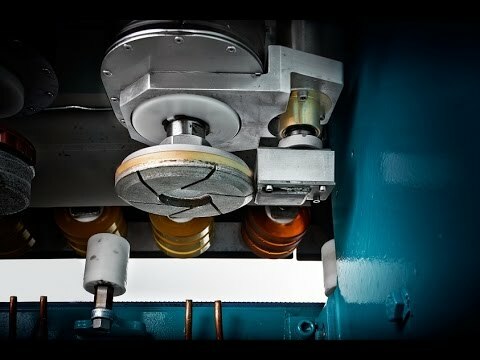 This system guarantees stability also for workpieces with a length of only 120 mm. Each model has a base version that can be customized with extra personalized optional devices. 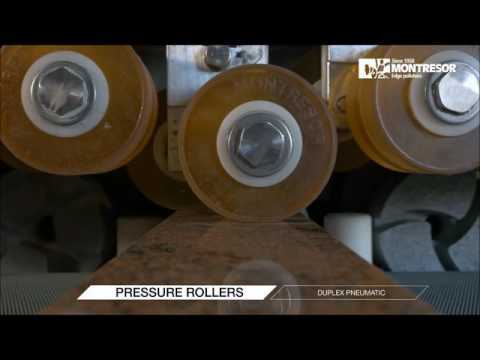 Intelligent pneumatic pressure rollers to process mitered boxes and laminated workpieces automatically. For an even faster and perfect polishing of thickness between 60 and 100 mm thanks to a 40 mm vertical movement in the centre of the thickness, together with usual micro oscillation. For easy and intuitive programming, with integrated use and maintenance manual.